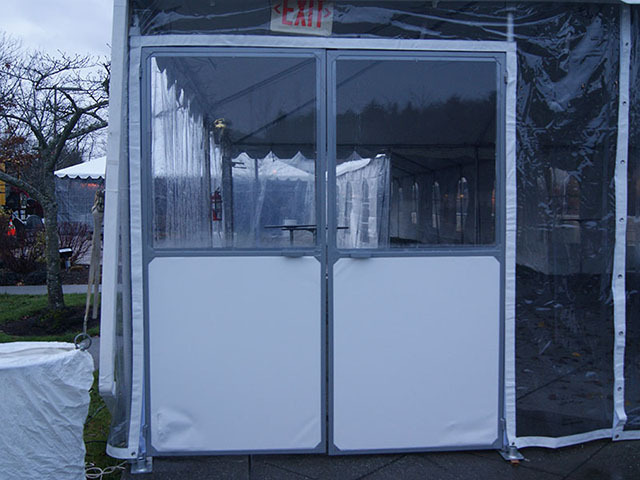 Double steel/vinyl tent doors provide a formal and elegant means of entrance to your party tent. Panels come in solid white or clear and can be mixed and matched. * Please call us for any questions on our canopy door double steel/vinyl rentals in Kent WA, serving the Greater Puget Sound area.